Extremism and fanaticism are products of ignorance, intolerance and inferiority complexes. People tend to recognise extremism and fanaticism only on a higher level, with the affiliation of religion. However, we need to find the roots of extremism and fanaticism. It is more of a behavioural issue than a religious issue. If someone is an extremist, it is not just about religion. There are extremists in different fields. For example, some people are even extremists about themselves: they think they are the best and they cannot give in to their own self. Fanaticism is not a theory or a religion. Fanaticism is an ugly behaviour. One’s behaviour changes when they don’t respect others, give them space or consider their rights. It changes when they are only concerned about their rights and themselves; when they become self-centred and impatient, and they cannot take a little pain for others at the time of adversity. When there are good people in any religion, the religion is operated well by them. Religion itself does not have legs. It cannot do anything; it is just a set of beliefs. The followers of that religion are the operators of it. When the religions are operated by bad people, they start malfunctioning. Let’s talk about a household. The entire household is managed by the guardian of the house. The way it is managed depends on how bad or good that person is. The problem is not with any religion; whether it is Christianity, Judaism, Islam or Hinduism, all of them are good — but the people who operate these religions are bad. This is because there is a prerequisite that one must do before they practise a religion: purification of the inner devil. Without first attaining inner purification, if one follows any religion, they will [misinterpret it]. They will become intolerant. When we say intolerance is prevailing the society, this is not due to any religion. This is an issue with the behaviour of human beings. No religion is intolerant; it is the people who are either tolerant or intolerant. It is the people who are either rational and full of sanity, or so irrational that they are almost insane. For example, if a mad person drives a BMW and runs over a couple of men, we won’t blame BMW. It is not the car [at fault], it is the driver. Fanaticism and extremism are not products of any religion. Extremism and fanaticism have to do with people. Some people are more patient, tolerant and forgiving than others. Some people are short-sighted and impatient. It is not about the religion that one follows. It is about their own being: how composed or disturbed they are. If your mind is disturbed, you are disturbed everywhere. That happens when there are some decisions in life which are difficult for you to make. Due to this indecisive nature, you don’t settle things; so there remains a kind of pressure and stress on you mind, keeping it preoccupied. It kills your sanity. Mental disturbance is something one cannot afford. In order to please others, it is important that you should be happy. If you are unhappy, you cannot make anybody happy. If you yourself are crying and suffering, how can you please others? In order to be able to make others happy, constitutionally you should be happy in the first place. We need to educate people on ethical values to build their character. We need to discuss the psychological aspect of everybody’s lives and how our lives can be improved. When our lives are hell, then everything falls apart. Then, we don’t care about our bad behaviour, ethics or anything else because we are disturbed. When you want to do weight lifting at the gym, if you cannot even move 50 KG, you won’t try to lift it; you know that you cannot put extra weight on your body. If you do, you’ll hurt yourself. Similarly, in life, you are carrying a lot of extra luggage that you will not need while you are travelling. Life is nothing but a journey and you must travel light. Make life easy, my friend. After all, this is only one life that you have. I do not think fanaticism and extremism are about any religion. You don’t have to follow a religion to be a fanatic or extremist. These days, jihadists and terrorists are not devout Muslims; they don’t even know anything about Islam. They’re drinkers and party animals. More and more people, especially in the Western sphere of the world, are prone to becoming jihadists not because they are inspired by Islamic text or they find the Quran fascinating. Rather, some of these people suffer from narcissistic personality disorder. This is not about their religion. This is about them. They are crazy, impatient, intolerant and ignorant. What I have just said is not a wandering thought that has crossed my mind. I am a very keen observer. I read men and their behaviour. I have read many people. To a degree, every single human being becomes an extremist in certain situations and conditions. The root cause of extremism is to do with behaviour. Your behaviour is not your fault; it is carved, nurtured and shaped by good or bad experiences in your life. When you go through denial, rejection and deprivation; when you are scolded by people for no apparent reason, that is when your behaviour [deteriorates]. Behaviour is all about our reaction to certain things. For example, someone tried all their life to buy a car but they couldn’t. Then they came to England, struggled for a year or two and then finally bought a car. Now you have to be careful; if you damage the car, no matter how close of a friend you are to them, you will be in trouble. They value the car more than they should because of their struggle. Suppose you did not eat food for 48 hours. Finally, you are a holding a Big Mac in your hand. Just as you are about to take a bite, someone laughingly takes it away and says, ‘I’ll eat it instead.’ You will behave differently [than you would normally]. Our behaviour is not about how bad or good we are. It is shaped and developed through good and bad experiences in life, and of course the way people behave with us. We need to look into our lives. We need to see what is wrong and right in our life. What is causing us problems? What is the source of disturbance in our life? What is it that is distracting us from our spiritual journey? In spirituality, you struggle to become good in this lifetime.You become good not just for yourself, but as an embodiment of God on Earth. When people come and sit in your company, they feel relaxed without establishing any meditation. They’ll just sit with you and feel peace because you have gotten rid of all your evil traits, all the negativity. We should sort out our problems in life. If something is causing problems, we should see if we can fix that problem. If you can’t fix it, replace it. Spirituality is something that alone can make a human out of you. A religion is like a film in which you are a billionaire and you have a lot of money, big houses, cars and everything. When the movie is shot, you come back to reality. In religion, you imitate being good. Spirituality will make you good. When you go to a shopping mall in the United States of America, the salesperson will greet you with a business smile. They know it is a fake smile, but it is part of their business strategy. Similarly, a religion will tell you what you can and cannot do, whether you like it or not. A religion wants performance, like a coach of a team. In spirituality, it is not about performance. It is about transformation. If you want to see whether a person has made any progression in spirituality, you need to see if he is a better human being today than he was yesterday. The first step in spirituality is to know yourself. Self-realisation is an art that comes from spiritual practice and discipline. It is about coming to know of all your physical, spiritual and carnal aspects. A mentor who has culminated his quest in the said field can guide one towards self-exploration on a spiritual journey. Too many people don’t know who or what they are. When they do good, they want to publicise it. When they do bad, they don’t want [others] to see it. This attitude has led them to a point where they have lost their identity. They do not know themselves. It isn’t about your parenthood or sisters and brothers. It is about you. It is about how beneficial or harmful you are to your fellowmen. This is why the first step towards God-realisation is self-realisation. A religion is aiming at you to please God. In spirituality, you find and explore for your personal, original identity. Knowing yourself is not an easy job, otherwise God would not have labelled knowing yourself as knowing God. In spirituality, you go through self-denial and this is the hardest job. You deny and negate yourself. If negativity in you is stronger than positivity, the negativity compels you to do bad things. You have to make positivity even more powerful with the help of spirituality. Once the source of evil and negativity, the Carnal Self, gets weaker, then the compelling of Carnal Self will lessen. A time will come when you will realise that nobody is pushing you to do anything wrong. Ego is such a problem. You’ll be defending the ego, the inner devil, but you’ll think you are defending yourself. This is why it is not easy to know yourself. God is a male. God is extremely handsome. His height is between 6–7 feet. He is neither chubby nor skinny; he has a perfect structural body. There is no such thing as age or time there. He is ageless. However, he looks like a young, handsome man: like somebody of 17–20 years of age. He does not grow hair anywhere on his body. The colour of his eyes is dark red. Sometimes, [if you are a man] you see an extraordinarily beautiful woman who you cannot keep your eyes off of. It is like you are spellbound. It is like you have been hypnotised, mesmerised; you fix your eyes on her. You feel drawn towards her. You have this physical attraction which pulls you towards her, but then you can control yourself. However, when you see God, God’s beauty is so powerful that you will melt in one second. You will want to just go and disappear in the presence and existence of God. You will feel that extreme pull towards God, like you’re inside the divine magnetic field. Then, because of that spiritual divine pull, you will be given to embrace God. The spiritual, amiable, divine romanticism will then occur in you. The divine pull towards God is called love. No matter what happens, no matter how far you come from God, you still feel that you are with God. The divine pull is always pulling you back to God. God is really softly spoken and romantic. Whenever I see a religious person who has no romance in the way he talks to his wife and children, I instantly recognise that such a person can never love God. God is full of romance. In order to develop a Godlike mentality, you need spiritual romance in your character. Secondly, once God has granted to you his friendship, he doesn’t take it back no matter how good or how bad you are. It is good if you are his friend; if you are not his friend then you don’t know him and he doesn’t know you. When you have entered into God’s friendship, he is overprotective and extremely possessive. When you love somebody, then you cannot just walk out of the attribute of being a possessive person. This possessiveness creates jealousy. That is just one dark side of love. However, Lord Ra Riaz Gohar Shahi has made amendments to the features of love and the dark side of love has been repaired. There is no dark side to the love Lord Ra Riaz has introduced; there is no possessiveness or jealousy. Possessiveness and jealousy burn in love due to the fact that there are four birds inside every human breast. As long as these spiritual birds are still there, jealously will stay there. Lord Ra Riaz has the knowledge to transform those four birds, purify them and eliminate all the evil traits and negative elements from the human breast. When these vices are removed as a result of those birds becoming purified, then the dark side of love is taken care of. Learn more about the four spiritual birds and the rest of the spiritual human anatomy in the book ‘The Religion of God (Divine Love)’ by Lord Ra Riaz Gohar Shahi. This article was first posted on Younus AlGohar’s Medium page. Recently, the Asia Today Newspaper published an article by Younus AlGohar. The article is entitled ‘Dyfunctionality of Religions’ and was originally posted on Younus AlGohar’s Medium page. The Asia Today is a monthly publication which is tailored for the South Asian community. It is based in Arizona, USA. Read its September issue here. Every religion consists of two different types of knowledge: the inner dimension of the religion and the outer dimension of the religion. It is very simple to understand these two aspects. A human being is a compound creature. A human being has a body, but it is not his/her reality. Inside the body, there are seven souls, which are his/her reality. A body is like a container; the seven souls are contained in this physical body. We spend our time in this world for a reason. In the Primordial Times, when all the souls assembled before God, he said unto them, ‘Am I not your Lord, am I not your God?’ All replied with one voice, ‘Yes, you are our Lord, you are our God.’ Subsequent to this affirmation, God then exhibited different sources and elements of pleasure. In the very first instance, he exhibited modelled luxuries of the world and then said unto all the souls, ‘Those who wish to get them, go and get it.’ A multitude of souls leapt towards the modelled luxuries of the world. Hence, this became their destiny. God then commanded the angels to make a note of this choice made by the souls who leapt towards the modelled luxuries of the world. This note became their Book of Fate. Following this exhibition of the modelled luxuries of the world, God went on to show some more types of luxuries. This time, he manifested and exhibited modelled luxuries of paradise. Again God commanded unto the souls, ‘Whoever wishes to make a choice of this, they may go ahead and do so.’ A multitude of souls leapt towards it. The angels again were instructed by God to make a note of this choice and this became their destiny. At that moment in time, the choice was made by the souls. There were no physical bodies present there. So the main theme of the human reality is to take care of the soul. The reason you take care of your body is because those souls are contained in this body, and you have to spend some time in this world. Misbehaviour and disobedience to God by the body will leave a very diabolical impact on your souls. Therefore, there are two types of knowledge. One type of knowledge can keep your body pure; it is to make sure that the filth of your body does not harm and hurt the quality of your soul. Then, the main theme of the knowledge is to illumine and enlighten your soul. It makes it worthy of practically fulfilling the choice you made in the Primordial Times. The presence of these two types of knowledge has been the pattern in every religion. When the knowledge of the interior — which enlightens and revives the souls — became extinct in any religion, that religion was ousted. It became useless and it started to malfunction. Rather than making peace with your fellowmen, you started to kill them. The religion you are practising now has a big missing link: the knowledge which would revive and enlighten the soul. For example, the knowledge of spirituality in Judaism is known as Kabbalah. I have been to many synagogues in the United States of America and I have met a Jewish rabbi in Canada. I have come to know that mainstream Judaism does not support spiritual teachings. They do not support Kabbalah. This proves the mainstream religion has deprived itself from the knowledge of interior, the knowledge of spirituality. As a result, they are empty inside their hearts. You can call them a Jewish community, however if they are not connected to God anymore, they will not behave like children of God. So that religion became futile. When Christianity was made to go without spirituality and they adopted a creed system, they lost connection with Jesus Christ and God. Although they go to church every Sunday, their worship is confined to phraseology, verbalising the verses of the Bible and singing spiritual songs. Their hearts are not connected with God. Islam is the latest religion in the world [out of the three Abrahamic faiths]. Judaism is about 5000 years old. Christianity is about 2000 years old; it is at least 600 years older than Islam. Islam is only 1440 years old. Since spirituality in Islam also became extinct, the spiritual system within Islam collapsed. With the collapse of the spiritual system in Islam, Islam was diversified into many dozen denominations. There is not one single denomination within Islam which is connected to God, which would talk about God’s love, spirituality and humanity. They are not following the religion. The main soul and spirit of the religion was spirituality which became extinct. This is why Islam also became futile. Now is the time when spiritual love should and will prevail. The only religion, if you want to call it a religion, will be love. It is not possible that you love God but you hate human beings. One who loves God will definitely — by nature of love — involuntarily love humanity. If you have no respect for humanity, it simply means you have no respect for God. If you genuinely love God, that love of God in your heart will compel you by its nature to love and respect all humanity. You will not hate anyone. Read more about love as a religion here. The biggest issue for humanity is to determine who is trustworthy. I found out after many years of worship, unshakeable loyalty and sincere efforts of finding the truth that God hasn’t been fair in dealing with human beings. God’s policies and planning have created a monstrous vacuum for the people who want to understand religions and God. There are many questions in every religion which the religion does not answer. Science has contributed profoundly, hugely, to healthy and positive stimulation of the human brain. Now, human beings have developed a habit of understanding things before they want to do it. Ever since human beings have become sensible, they only want to do things that make sense. If things do not make sense, they wonder, ‘Why should we follow it?’ If there is some kind of doubt, people become apprehensive. When you are a religious person and at the same time you are rational, sometimes religions ask you to believe in things even when they do not make any sense. This is the point where people slip off the right track and happen to embrace wrong interpretation of the religion. This is the space in which any philosophy can fit because there is ambiguity. Every other scholar would want to come up with his opinion, fit it there and declare it to be Islam. However, according to the Traditions of Prophet Mohammad, he clearly suggested to Muslims, ‘If you find anything dubious, leave it out [of the religion].’ When you start reading the Quran, the very first words are ‘There is no doubt’. There should not be any doubt in the religion — this is the understanding is coming from God. What if there are doubts? A doubt is a thought that disturbs you when things do not make sense. The most important verification of things will come from your own inner voice. There are many things that you want to verify but you do not have somebody who has been divinely delegated to give verification. However, if your conscience is pure and spiritualised, ask it and you’ll get the right answer. God hasn’t been very careful. When I speak on such a subject, I do not aim to disturb religious emotions of people or hurt anybody’s feelings. I do not intend to demoralise people or devalue any religion. I share my feelings. I share with you how difficult it was for me to understand what the right path was. As a young Muslim, a medical student, born and bred in Karachi, Pakistan, it was so difficult for me to determine this. Among Muslims, it is very common to declare people of other sects as infidels and hypocrites. It is a normal pattern in Pakistan. Sunnis will call Shias infidels and Wahhabis will call everybody else infidels. The irony of it is that people do not even know the meaning of the word, ‘infidel’. My father used to tell me, ‘When you want to pass urine, you must sit down.’ I asked him why and he couldn’t explain. He said, ‘Our religion tells us to do this.’ The problem with me was that I wanted to avoid droplets of toilet water splashing back at me, so I would make sure that I was standing. My conscience had a problem with this; I struggled and asked many people to explain why the religion dictates it. If a religion tells me to do something, it must also tell me the reason why should I do it. If it doesn’t tell me the reason, then I don’t find it easy in my heart to accept it. I did a BSc Honours in microbiology, physical chemistry, and organic chemistry. People who know what I am talking about know how difficult these subjects are. Physical chemistry is all about your body: your liver, kidney, stomach, etc. It explains things like what happens when you don’t eat on time, when you do not drink water and what happens when you eat bread or rice. Somebody who has obtained a master’s degree in microbiology, his knowledge of the human anatomy is far greater than a physician because he knows the inner and outer workings of the body. Whenever I had a problem understanding physical chemistry or organic chemistry, I would ask my teachers and they had to answer my questions. This is how the process of learning progressed. We would understand the subject and then go ahead. I, as a student thought the same thing must be applied to the religion. I am not an atheist. I believe in God, Abraham, Adam, Moses, Jesus, Mohammad and all the favourites of God (whether they were at the time of Moses, Jesus, Abraham or if they somehow adhered to the spiritual aspect of Islam); I respect them all. However, how would you feel when you are genuinely seeking to find the right path that leads to God and there is nobody who can help you? Every time I stood in Salat (a form of prayer in Islam), the intention in my heart was, ‘God I want to love you like Prophet Mohammad did. Help me.’ One day, when I shared my feelings with a religious scholar in Pakistan, he said, ‘You are a blasphemer of Prophet Mohammad. How can you love God the way Prophet Mohammad did?’ My reply to that is: we are taught to offer Salat like Prophet Mohammad did. We are taught to lead our lives like he did. When it comes to loving God like he did, what is the problem? People have included many of their own opinions in Islam and think that this is Islam. Religious scholars say, ‘You cannot even be equal to the dust that touches the foot of Ali (A Companion of the Prophet).’ That’s good, but what is wrong with me? If they say, ‘Ali is God,’ then it makes sense that I cannot be equal to him, because I am a human being. However, if he is a human being and I am a human being, then why can’t I say that I want to love God like Ali did? Muslims have a problem. They think that there is just one Lal Shahbaz Qalandar and nobody can be like him, or that Sai Baba is just one and no one can be like him. They think no one can be like Data Ali Hajweri. However, before Data Ali Hajweri became a saint, what did he think of Islam, himself and other spiritual dignitaries? How did he become Data Ali Hajweri? Initially, when he was born, he wasn’t a saint of God. How did Moinuddin Chisti become Khwaja Gharib un Nawaz? Was he a saint even when he was in the womb? If he became a saint from reading the same Quran as I now read, what is wrong with me and my recitation of the Quran? What is wrong with my research, probe and study of the Quran? According to Islam, for every word of the Quran I read, I gather 70 Hasanat (good deeds). I have read the Quran thousands of times. Where are all the good deeds gone? On every auspicious night, I spent the entire night remembering God. I was told that in these special nights, angels will come and embrace you, however I never felt anything. When I read the books of Sufis, they told stories such as, ‘On the Night of Ascension, this prophet came to see me.’ The question arises: why does nobody come to me? Should I just say that these are all bundles of lies? I have spent at least 20 years in schools and colleges. I have spent 20 years reading books. It is enough to stimulate my brain. If this is the same Quran [as the one the saints read] and I am reading it, what is wrong with me? I want to love God, become his friend and spiritualise my life, but where is the flaw — in me or in the Quran? If the Muslim scholars told me, ‘You can also become Data and Khwaja, but this is what you have to do,’ I would not ask one more question. I would do what I was supposed to do. Even then, if I did not succeed, I would try to find out whether I was doing everything correctly, where the mistake or flaw was. However, as a Muslim, you have no help from anywhere. Muslims have loads of questions but nobody wants to answer them because nobody knows. All religious scholars ponder upon are the issues relating to ablution and family laws. If you ask them, ‘God said in the Quran that Salat will stop you from the bad deeds. I have been regularly offering Salat for the past 10 years, but it is not stopping me from bad deeds. What is wrong with my Salat or me? How do I offer Salat so that it may stop me from committing bad deeds?’ Nobody has any answer. This is why Islam has been destroyed. There is no more Islam. These questions go to every single religious scholar in this world who claim to hold any office in Islam. If he answers my questions, I will do as he says. When you buy a table or chair from Ikea, they will give you a box and you have to assemble it yourself. Inside that box there will be a manual. You read the manual and assemble it. If whoever has compiled the manual made a mistake, you can never assemble it right. Therefore every manual with their product has to be perfect, otherwise their business will go down. They want to make sure that everything is very clear. If it is not, the customer will go back, return the product and never shop there again. The Quran is a manual for Muslims. The question is: do Muslims understand the Quran? With the help of the Quran, can they find God or the Straight Path (Sirat-e-Mustiqeem)? If they can, why are Muslims divided into 73 sects today? 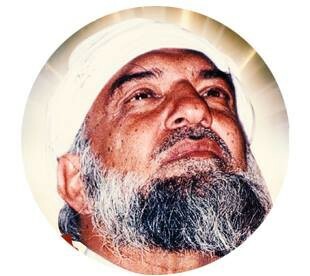 The only one who has given answers is Lord Ra Riaz Gohar Shahi. This article was originally posted on Younus AlGohar’s Medium page.